Computer programming is one of the fastest growing field. 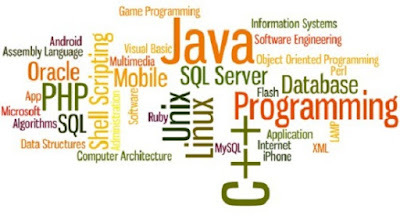 If you are a programmer then you can be hired by a top tech company or you can also work as a freelancer and earn decent amount. So the question arises, how to learn to code ? Initially it was very difficult to learn programming. As there was no internet and you have to relay on books or your colleagues’ code. Now you can find tons of material on the internet. You can learn any computer programming language you want. I am going to tell you some sites which you should visit regularly. In this site you can find articles on programming languages like C, C++, Python, SQL. You can find about Algorithms and Data Structures. There is a section of CS subjects, where you can find topics like DBMS, Compiler Design, Computer Networks etc. You can have quizzes on various topics and you can also practice problems. This is a Q&A site. If you have any problem, just ask about it. Your question should be well formatted. If you ask a easy question, it will be downvoted because there philosphy is that you should work hard to solve the problem. Most probably others have same problem as you and you can find solution to your problem without even asking a question. Here you can find find many projects and you can contribute to them. Here you can also find source code of Metasploit or many open source softwares.From here can learn a lot by reading code of senior developers. You can find more than 500 free programming books that cover more than 80 different programming languages on the popular web-based Git repository hosting service, which means that it’s frequently updated by collaborators. This is also a website of Stack Exchange like Stackoverflow. Here you can ask for improvement in your code. People will review your code and suggest you to make modification. You can also search for code of any algorithm for eg. Counting Sort. This is a community of developers, which include some high-profile developers such as Bram Cohen, the inventor of BitTorrent. There, you can perfect your programming skills by learning from some of the leading developers in the world.